Our media library will allow you to browse through our gallery of videos showcasing Sunflower equipment as well as view and download brochures and other literature to get the latest information on Sunflower Seeding and Tillage tools. Within this section, you will also be able to request printed materials and join our mailing list so that you can stay current with information about Sunflower. 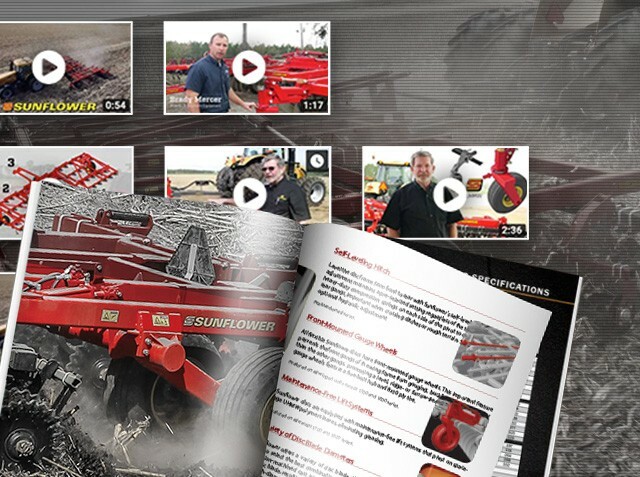 View videos of Sunflower Seeding and Tillage tools. Learn about the entire range of Sunflower products to find the one that fits your operation. Order a printed copy of our latest full-color Sunflower literature.